Chocolates, sodas, cookies — even tea! The edibles market has exploded with cannabis prohibition coming to an end. Creative cannabis bakers, chefs, and culinary enthusiasts have poured their passions into cannabinoid-laden delicacies in ways we have never seen before. 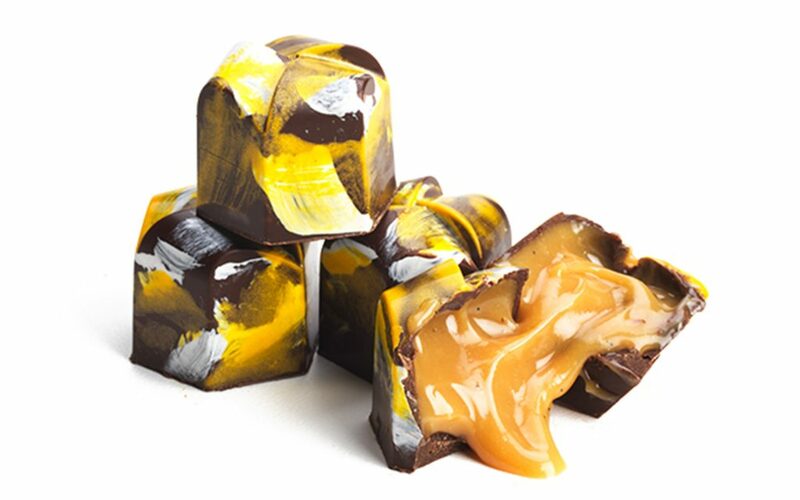 What better way to celebrate the delicious and sometimes unexpected high that comes from a well-dosed edible than to wrap them up in beautiful packages and boxes? They’re truly a gift, after all. Below we list nine gorgeous packaging designs from the world of cannabis edibles — if you don’t spot your favorite here, let us know in the comments below! ‘Clean and simple’ is what gives 1906‘s chocolate packaging design an upper hand in the edibles industry. 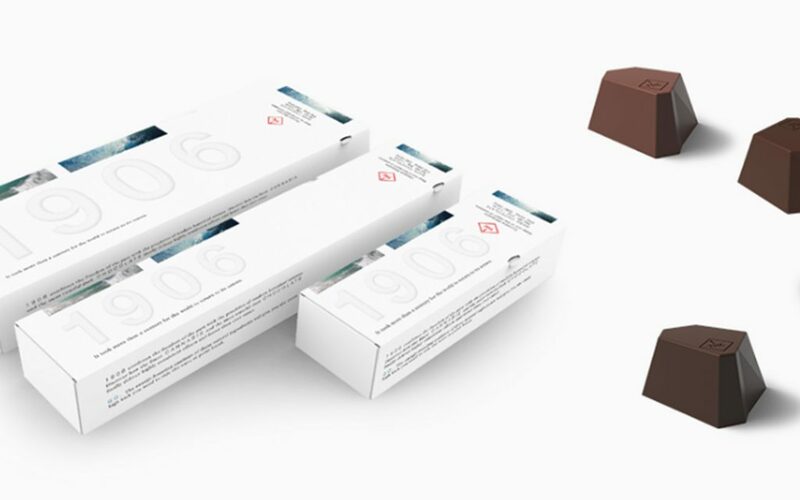 Their crisp, white boxes house little jewel-shaped chocolates that don’t need a flashy introduction – one bite of these and they’ll speak for themselves. 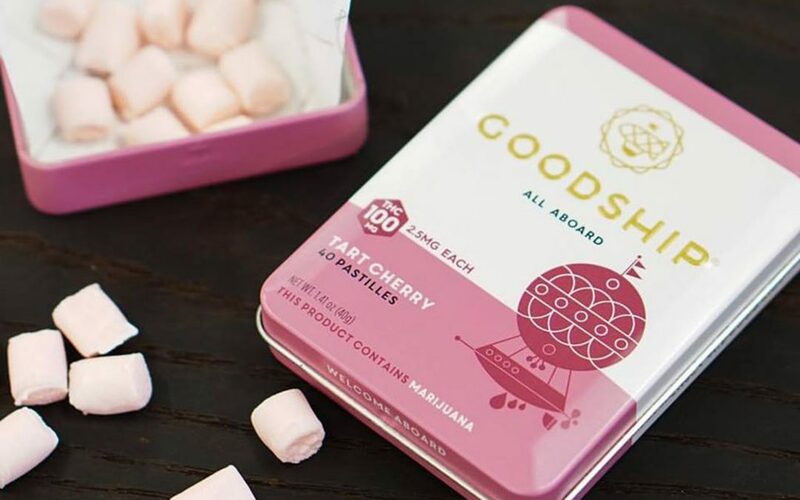 The Goodship team knew just what they were doing with their whimsical cookie and pastille package designs showcasing dreamy floating ships and pastel colors. Each is as unique and fantastical as the last, paying homage to childhood dreams of faraway places. 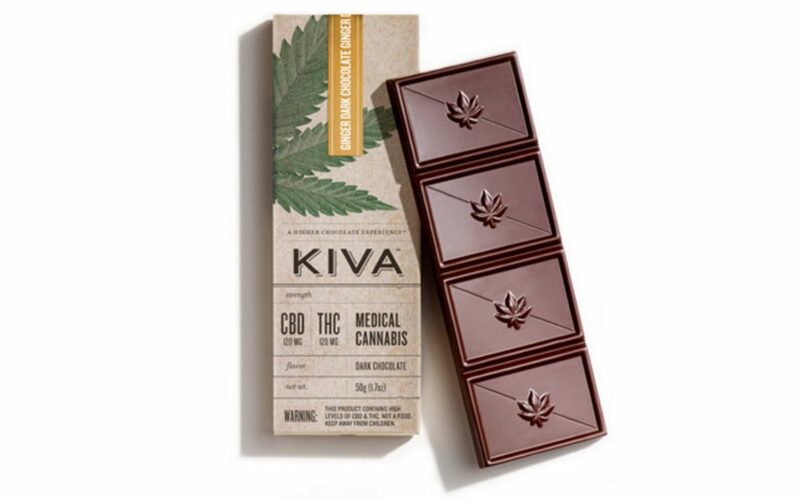 Kiva Confections wear their green on their sleeves with an elegantly placed cannabis leaf over a hemp-colored wrap. 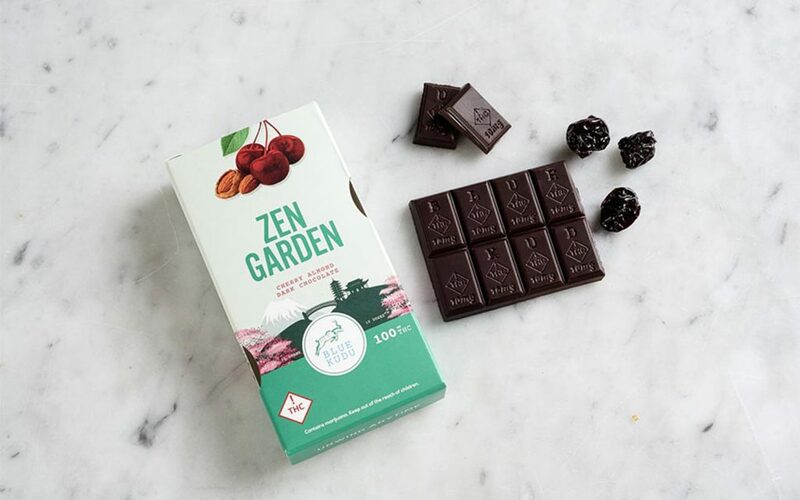 Their infused chocolate bars are made from all natural ingredients, which is easy to picture with the simple and rustic take on their edibles packaging. Blue Kudu‘s colorful packages tell tales of their own. Mountainous regions, moon craters, breezy beaches — take a bite out of a Kudu bar and let these gorgeous images transport you to distant lands and magical adventures. To Whom It May‘s chocolates showcase elegant brushes of color rendered with a precision commonly reserved for works in an art museum. Their sleek black boxes are brushed with soft pinks and sunny yellows for a haute couture vibe. 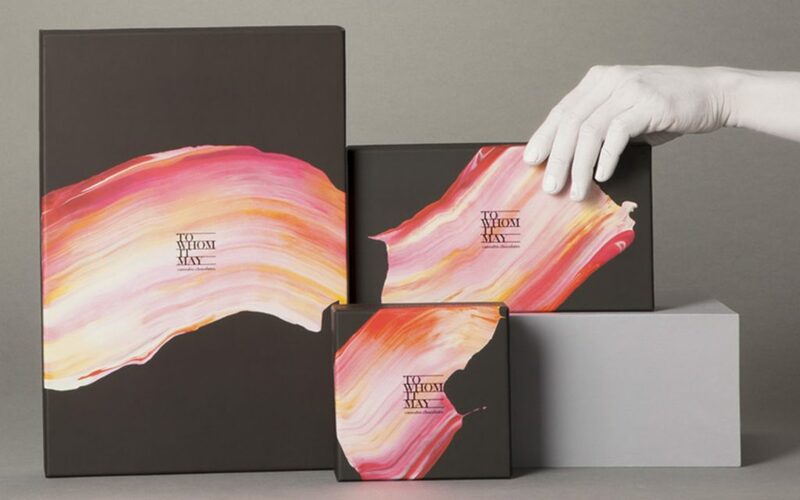 Altai’s chocolates are almost too gorgeous to eat — and with edibles this beautiful, the company had no choice but to enclose them in equally stunning tin containers. 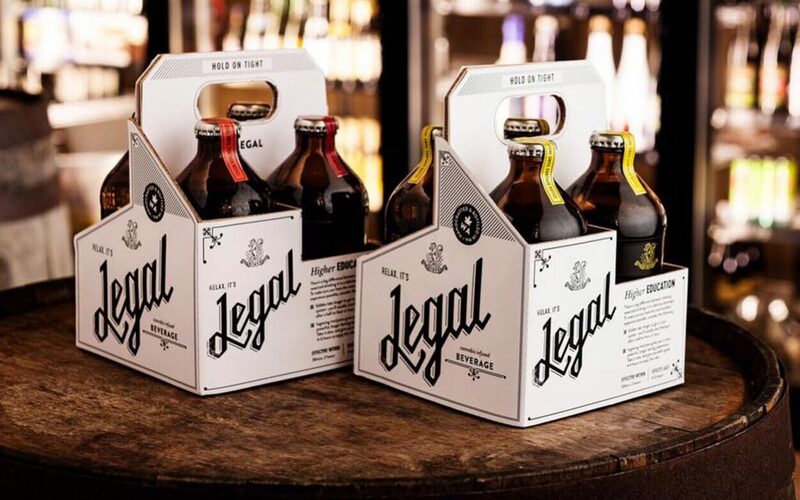 With their beverages as well as their bottles, Washington-based Mirth Provisions brews up a fresh take on cannabis soda. In steering clear of the usual psychedelic prints and tending more toward hipster chic, Legal stands out as both a classy and refreshing option. Nothing induces relaxation quite like a piping hot, infused cup of tea. 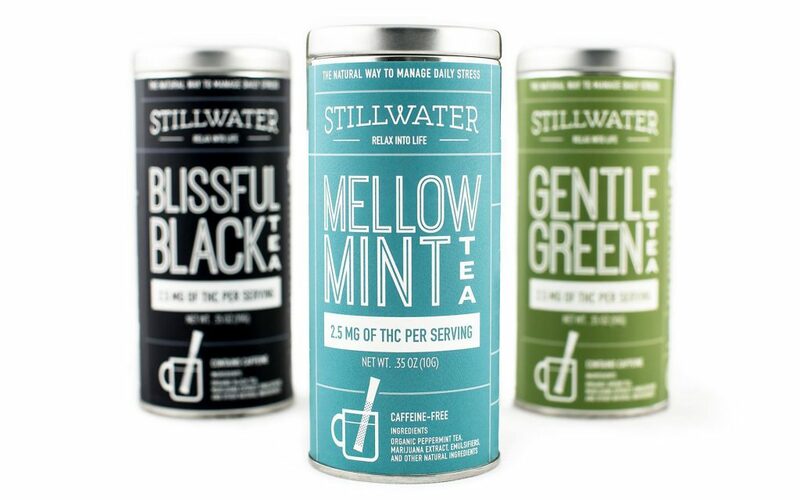 Stillwater Tea is sold in subtle yet colorful tin cylinders, so if you’re trying to consume covertly, leaving these pretty tins out on the counter isn’t likely to make anyone any the wiser. 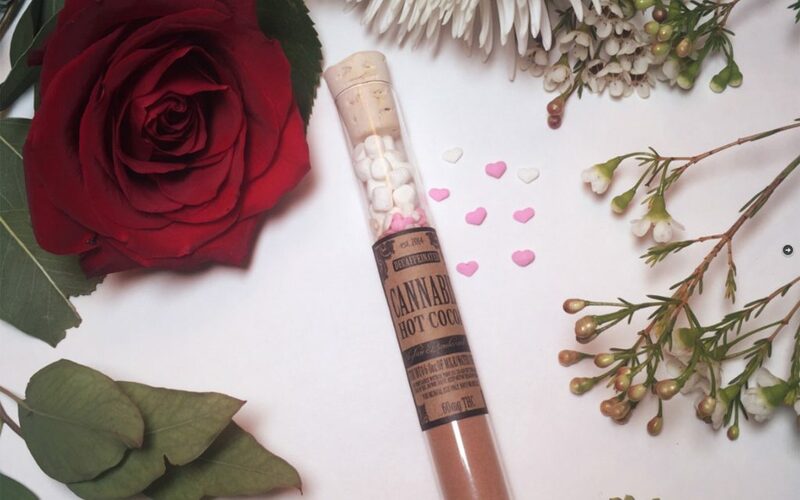 Vials containing infused cocoa and a few fluffy marshmallows are just what the doctor ordered. Decked with classic parchment labels and corked tops, these little glass tubes by Skyline evoke images of cozy nights cuddled up by a roaring fire. 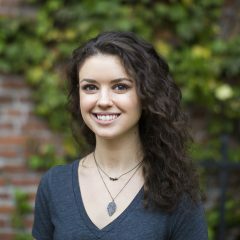 It would be neat to view the portfolios of each of the designers!